While technology itself doesn't deliver on a promise, the right technology used properly can play a powerful role in supply chain visibility and service consistency. Our Web Consignment solution allows customers access to the same information we see in our system for all shipments on their account, including status updates, imaged POD's, individual shipment pricing and invoicing and payment details. Web Consignment is available to all customers via a secure login on the Home Page of this website. Please Contact Us to set up your password protected login details. For customers with consistent freight volumes our free Web Despatch system is a convenient online tool allowing them to create consignments from a receiver database, generate consignment notes and labels, and download the data directly to the Cochrane's Freight Management System. Web Despatch is available via a secure login on the Home Page of this website. Please Contact Us for more information. 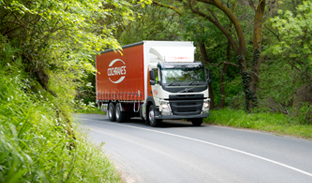 The Cochrane's Freight Management System is extremely flexible and accommodating to both proprietary freight software such as IFS and SupplyMaster as well as customers own software packages. Where other companies are often regimented and uncompromising around file formats and processes, Cochrane's is able to work with almost all customer requirements in order to build a suitable solution. We are also able to provide reverse data feeds back into customers for things such as status updates and POD images, allowing their own system to control all supply chain information. Cochrane's has invested heavily in handheld scanning devices over the last 3 years, utilising both the Motorola MC75a and Motorola TC55 devices. Scanners are a valuable tool for identifying the status of a shipment, such as; Received into Depot, Onboard for Delivery, Transferred to Agent, Bookin Required etc. We constantly measure our scanning performance to ensure that we are maximising the use of this technology so that our Customer Service team is able to respond to queries and website searches are informative. We appreciate that in many cases a sign on screen solution is either not sufficient or in many regional areas is unobtainable. Our POD solution is centred around making an imaged copy of the POD available to our customers as soon as possible. Major country agents are set up with imaging machines with the objective that all POD's completed in the day will be uploaded and available for website searches that same afternoon. 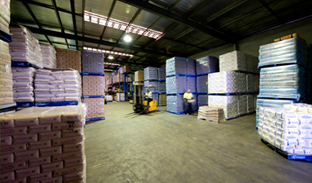 POD's from smaller agents are generally available the first business day after delivery. Invoicing via email is actively encouraged with all our customers. Invoices can be provided in PDF format or both .PDF and .CSV where customers need to manage the data for reconciliation or import to their finance systems. As Australia's largest magazine publisher, Bauer Media Group needs strong, flexible working relationships with our operational partners to ensure our product reaches our retail network. 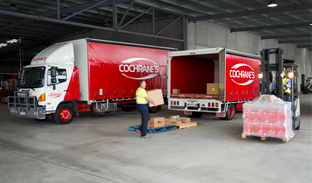 Bauer is proud of our long association with Cochrane's, who have provided us with high quality services in logistics and transport for over 40 years.